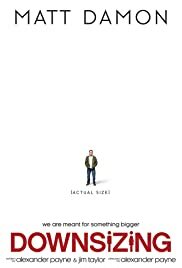 Aaron Sorkin is one of the best writers in the history of TV and Film. Best known for his work in TV, creating The West Wing and The Newsroom, he has also proven himself time and time again, having written such classics as A Few Good Men, The American President, The Social Network, Moneyball, and Steve Jobs. And now he has proven himself an equally worthy director with his directorial debut, Molly's Game. In typical Sorkin fashion, expect the dialogue to come fast and furious, forcing you to pay attention to each and every interesting line. And these lines are delivered perfectly by all. 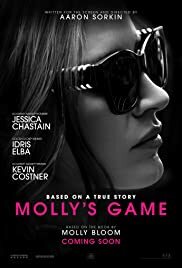 Jessica Chastain stars as the titular Molly, a real life former Olympic skier who ran an infamous high stakes poker game. Idris Elba and Kevin Costner costar. This is a highly interesting and entertaining film, and one of my Top 10 of 2017.
Who is this movie for? Fans of Sorkin and Chastain will not be disappointed. Go see it! Yes, this is the movie Kevin Spacey was removed from and replaced by Christopher Plummer. Unfortunately, that is what this film is destined to be remembered for. In case you've been living under a rock, in the wake of Kevin Spacey's disgrace from multiple sexual misconduct allegations, director Ridley Scott and Sony decided to refilm every scene of this film with Spacey in it, with Plummer in his stead. This reportedly cost $10M and put the film in danger of not making its original planned 12/22 release. Well, they did it and they made it (or at least just 3 days later than originally planned). The good news is, if you didn't know all this, you wouldn't notice anything different or peculiar about the film. It looks like Plummer was in it all along. I certainly didn't notice any scenes that looked awkward or didn't match. So, don't go see it because of all the drama. 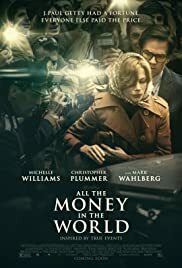 Go see it because it's a really interesting film about J Paul Getty, the world's first billionaire, and the kidnapping of his grandson. It's an interesting and entertaining watch. Who is this movie for? If you're not worn out already by all the Oscar bait prestige films we've been inundated by, this is another good one. You can go back to action blockbusters next year. You can always count on writer/director Alexander Payne to deliver something interesting, thought provoking, and most definitely outside the box. Election, About Schmidt, Sideways, The Descendants, and Nebraska all seemingly have nothing in common, except they come from Payne's brain, they aren't your typical Hollywood fare, and they're all great. And now we can add Downsizing to the pile. Matt Damon and Kristen Wiig play the everyman and everywoman, just trying to make the American Dream work, but struggling to pay the bills. But when they learn about downsizing (literally shrinking down to 6 inches tall) which is not only good for the planet, but also makes your nest egg go a whole lot farther, they embark on a new life adventure. This is a totally original movie that entertains, but also makes you think. Loved it. Who is this movie for? If you're tired of the Hollywood Assembly Line, and want to see something outside the box, I highly recommend it. Every year there are films that every critic seems to love but me. 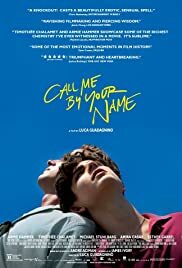 And this year Call Me By Your Name is definitely one of them. You may have heard about it by the countless critics organizations that have included it in their Best Picture and Best Actor categories. Well I've seen it twice (to give it as best a chance as I could to win me over) but I just don't get it. It's a coming of age film for a 17 year old boy (Timothee Chalamet) in Italy, 1983. When his dad's 24 year old research assistant, played by Armie Hammer, comes to stay with them, a relationship develops. At least that's one way to put it. To me, Hammer seems more like a predator, with his shirt off for most of the film, creepily coming on to a minor. Last I checked, a 24 year old having a relationship with a 17 year old was a crime. But for some reason, critics find this to be a beautiful love story. I'm pretty sure if it was the same film but with a 17 year old girl instead of a 17 year old boy people would be calling this film out as a disgusting film about a sexual predator. But this is the hypocritical word in which we live. Sorry, but I found it creepy and dull. Who is this movie for? Well I've seen it twice just to confirm it's not for me. I expect when it is on the shortlist to win Best Picture and Best Actor at the Oscars, most of America will be dumbfounded and outraged. But feel free to draw your own conclusion. Ed Helms and Owen Wilson play twin brothers who have never known their father. But when one of them recognizes someone on TV who looks like a picture they were given of him by their mom, a wild road adventure ensues. I must admit, in recent years I rarely get excited to see comedies since most of them aren't that funny. In fact, a lot of them are painful. But Father Figures was a terrific surprise and just what the doctor ordered for me. And the less you know about the cast the better. The film boasts a terrific ensemble cast, but unfortunately the movie poster spoils what seems to be best left as surprise encounters on their adventure. So avoid it if you want to maximize your entertainment. Who is this movie for? It's a very enjoyable comedy for adults. Better than you think. Go see it. OK, now that that's out of the way, even though there's hardly a lack of critics' opinions floating around already, I'll offer my two cents on it. I have mixed feelings, as I did with the last two Star Wars films. On one hand it's hard to dislike any Star Wars film. It's so large scale, big budget, and iconic. But, given that, this is my least favorite of all Star Wars films to date (including the much maligned prequels, that I actually like.) 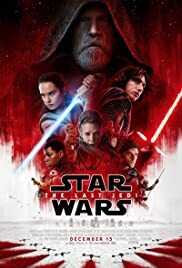 One blatant reason why is that director Rian Johnson has opted to inject comedy in a franchise that until now has been largely devoid of it, (or at least obvious comedy.) And it just feels extremely out of place. Whereas it works well in Marvel comic films, with Thor: Ragnarok being a great example, it just doesn't in this franchise. You just can't change the tone this late in the game. But fortunately that is only a sporadic annoyance. Another issue I have, as I have had with the two last films, is how annoyingly safe they are. These films intend to make billions of dollars. And you don't make billions of dollars by taking chances. You do so by playing it safe. And that's exactly what they've done. And I'm confident they'll hit at least $1B at the box office. (Though perhaps not $2B like The Force Awakens.) For me, there just aren't those iconic characters or memorable, classic moments I loved from the first trilogy. Though I must acknowledge a good part of the problem could be that I'm not 10 years old anymore. I know that life is complex and people aren't pure evil or all good. To me, now, the most interesting characters in films are complex ones, of all shades of grey. And yes, to some degree that exists in the Star Wars universe, but to a large degree it does not. Star Wars has and always will be a story for children that depicts good vs. evil. And good will always win. I guess I just wanted this franchise to grow up with me and become a niche series for middle aged geeks. And it's just not. Oh well. Who is this movie for? I suspect it will sufficiently please everyone, but will be met with some criticism by some. It's made for everyone and nothing great is made for everyone. I don't know about you, but I'm so utterly exhausted from all the bad news on the internet and on TV. These are dark times we're living in. And this movie was just what the doctor ordered for me. It's truly a delight. For those unfamiliar, here's a little backstory. In 2003 a film called The Room was released, and over the next 14 years became known as one of the best worst films of all time. I've seen it and it truly is horrible. But this is the story of its making. 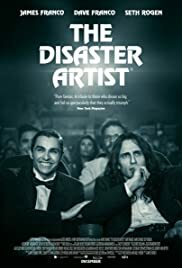 James Franco plays Tommy Wiseau, the mysterious man behind the film, and his brother Dave Franco stars as his buddy and costar. To tell you any more would ruin the fun. But it's a total feel good, funny, and poignant film. And likely to get some awards love. Go see it. Who is this movie for? Everyone. And no, you don't have to have seen The Room to thoroughly enjoy it. But it wouldn't hurt. I am fortunate to be a member of the Broadcast Film Critics Association, and therefore one of 300+ voters for The 23rd Annual Critics' Choice Awards. The nominations are in. Check them out below and be sure to tune in to the show live on The CW Network on Thursday, January 11th at 8PM ET/PT!